Once you have created a domain email account, you can access and manage your email by setting an email client on your computer or mobile device. An email client is a software that is installed on your computer to allow you to access your emails on your server. In other words, in order to use an email client, you will first need to install it on your computer or mobile device. If you have the Microsoft Office bundle installed on your computer, you will find Outlook a part of the bundle; or if you are using a Mac, you can easily find Apple Mail, the default Mac email application. Some of the most popular email clients are: Windows 10, MacMail (or Apple Mail), Outlook 2016, Mozilla Thunderbird, iPhone, and Android devices. Once you have installed the email client, you will then need to configure it so that it knows where (ie. which mailserver) to retrieve your emails from. On the other hand, if you are on the SmarterMail platform, you will only see the Non-SSL settings. Also, you will find that the only incoming mail type option is POP3. 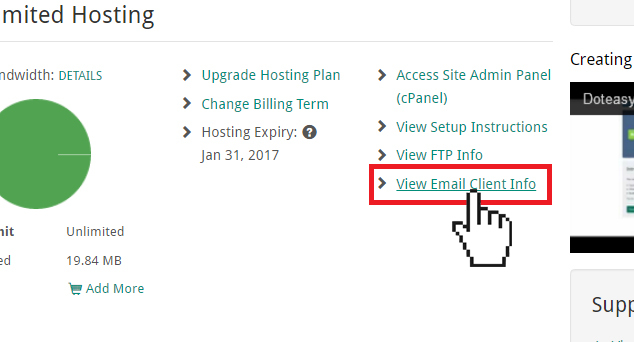 If you would like to use the IMAP protocol and/or Secure SSL settings, you will need to contact us so that we can transfer your account to the cPanel email platform. 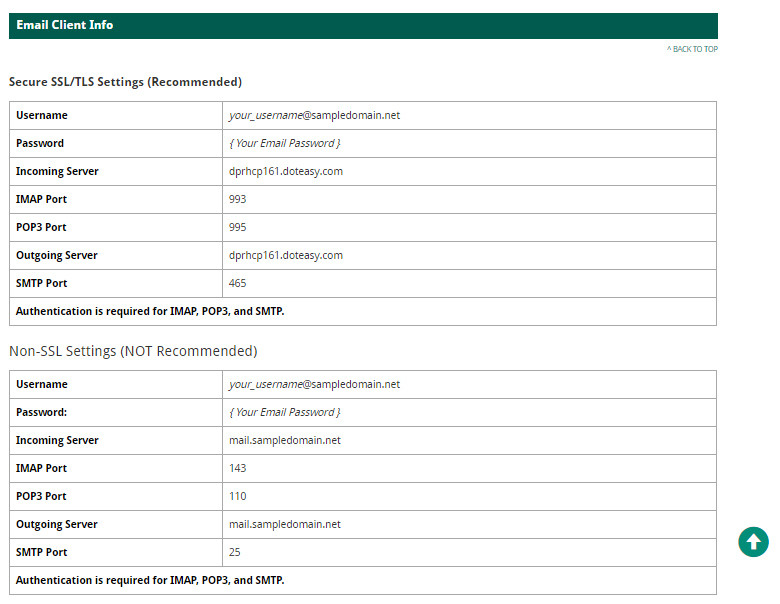 POP3 and IMAP are different protocols used for retrieving emails from your mail server. Which protocol you choose depends mostly on the number of devices you will use to access your emails. IMAP – This is for people who access their email from multiple devices, or if multiple users access the same email account. With this protocol, all changes you make to your emails (ie. read, reply, delete, forward or file) will be synchronized between your mail client, the account on the server and other IMAP-connected email clients. POP – This is for people who want to download and remove your email from the mail server and store them on your device. This protocol works best if you manage your email through one main interface as any changes you make are local on your device and will not be synchronized with your account on the mail server. The setup process is slightly different for each email client. Click on a link from the list for the step-by-step setup instructions specific to your email client.